Hello RaO readers, as you all might know Bewakoof the coolest brand that almost all youngster love for their coolest collection of t-shirt, sweatshirts, hoodies and many more products. Till date they were only selling through their website (Bewakoof.com) but today they have launched their shopping app for android. To download their shopping app, just visit the below link to enjoy shopping from Android phones. With their launch of Android Application they are also offering a Special Introductory Offer (5% off) on every purchase done from the app. To redeem the offer, download the app from the below link. Code valid only once per debit/credit card & user. When people sees the word - FREE, it attracts a lot of them to that particular thing. The same Dominos is doing to attract more and more customers to buy Pizza's from them. They are offering a Pizza absolutely for FREE on buying a Pizza from Dominos. 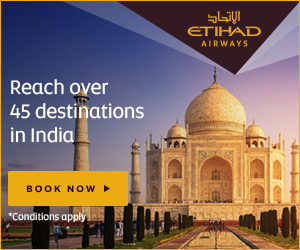 Enjoy Extra 55% Off on Hotels across the Globe use the below code while booking any Hotel and save Maximum. To book hotels, click here. Buy an Apple iPhone 5S @ Just Rs. 29999*. A perfect fusion of form and functionality. The Apple iPhone 5S is a classic example of great hardware and software combined in harmony. Online shopping from a great selection at Best Offer on Apple iPhone Store. Apple iPhone 5S only for Rs. 29999* from Paytm.